The perfect accompaniment to The Keys to the Universe book, these beautiful cards help seekers on the path of enlightenment. 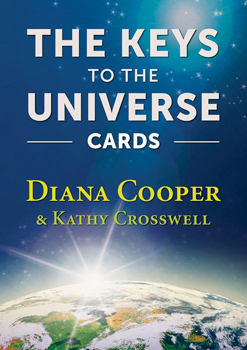 There are 50 keys - 48 of which enable readers to unlock the secrets of other realms, such as the animal or natural kingdoms, the elements, archangels and other angelic beings, cosmic masters, and wisdom centers, plus two Golden Cosmic Keys, Hollow Earth and Sirius, which allow attunement to the wisdom of the cosmos. Two cards with specific instructions and explanation for use of the deck are included.